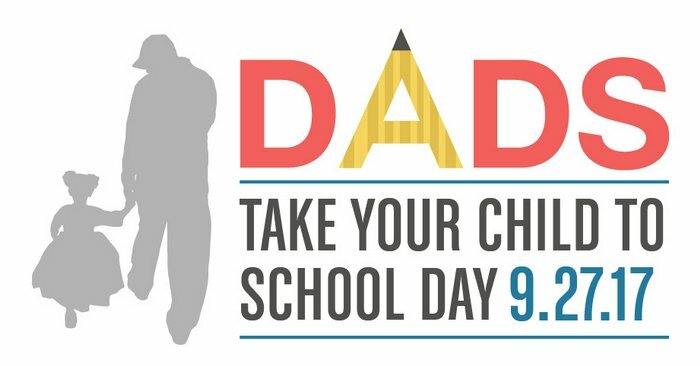 Gadsden District will be celebrating ‘Dads Take Your Child to School Day’ on Wednesday, September 27, 2017. Dads Take Your Child to School Day is a statewide initiative of the Florida Department of Education to encourage fathers and male role models to become involved in the education of their children as a means for increasing student achievement. Elementary schools within Gadsden District will participate in this campaign. Fathers, stepfathers, grandfathers, uncles, brothers, foster fathers and other male role models are invited to take their children to school on September 27.